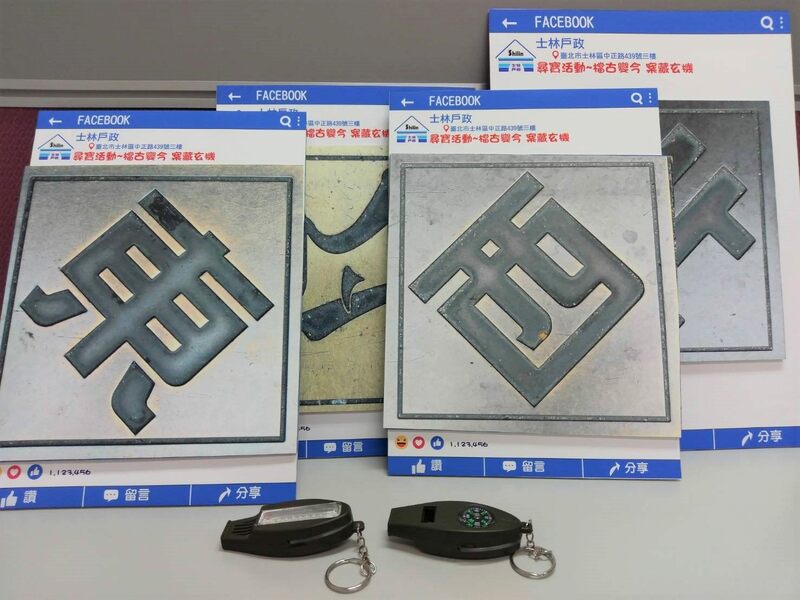 In 2018, the Shilin District Household Registration Office’s (HRO) event The Wheel of House Numbers: A Peek into Taipei’s US Army Quarters met with positive acclaim from the general public. This year, the HRO will launch another archive exhibition titled Past to Present: Mysteries Unveiled. This exhibition will present information and artifacts along four themes: Strolling Down Memorable Lanes, The Art of Street Naming and House Numbering, On the Origin of Street Names, and The Science of Land Recording. The exhibition will run from today until December 18, 2019. Strolling Down Memorable Lanes takes the visitors along Shilin's old and new streets and shows how they changed over time. Among those, the four roads circling from Cixian Temple – namely Dadong Road, Daxi Road, Danan Road, and Dabei Road – receive special attention at the exhibition. The Art of Street Naming and House Numbering shows the evolution of street naming and building numbering practices in the Shilin District over time. On the Origin of Street Names presents the different names of Jiantan Road, from its humble beginnings until today, to illustrate the process of naming roads. The Science of Land Recording explains the Department of Civil Affairs’ Integrated House Query System, Taipei Land Administration Cloud, Soil Liquefaction Risk Query System, and Taipei Historical Map Display System. Thanks to these four databases that draw together information from various sources, the public no longer need to visit city government agencies to check or collect information; a wealth of public information can be accessed straight from anyone’s laptop or mobile phone. Shilin District Household Registration Office Director Li Fu-chin observed that roads are the arteries of people’s lives. As soon as they head out the door to reach any given destination, they will rely on street signs and house number plates to get there. The household registration offices are responsible for naming and numbering every road, street, lane, and alley. He is excited about the prospect of telling people through this exhibition how this process traditionally works, and how it now connects to internet technology such as dynamic GPS services. Shilin Coloring Map Cute Edition: Collect a coloring book and crayons for each of your children at the service counter. Each young person that shows their colored-in map to the clerk at the counter will receive a nice little present to take home. Catch’em Treasure Hunt (located at the 3F meeting area of the SLHR): Find all four of the hidden characters東南西北 (east, south, west, north), take a selfie with one of the characters, and post and like the photo on the SLHR Facebook fan page official Facebook (https://zh- Tw.facebook.com/slhrgogo/). The little treasure hunters showing their trophies on Facebook will receive a multi-function whistle (with compass), while supplies last.